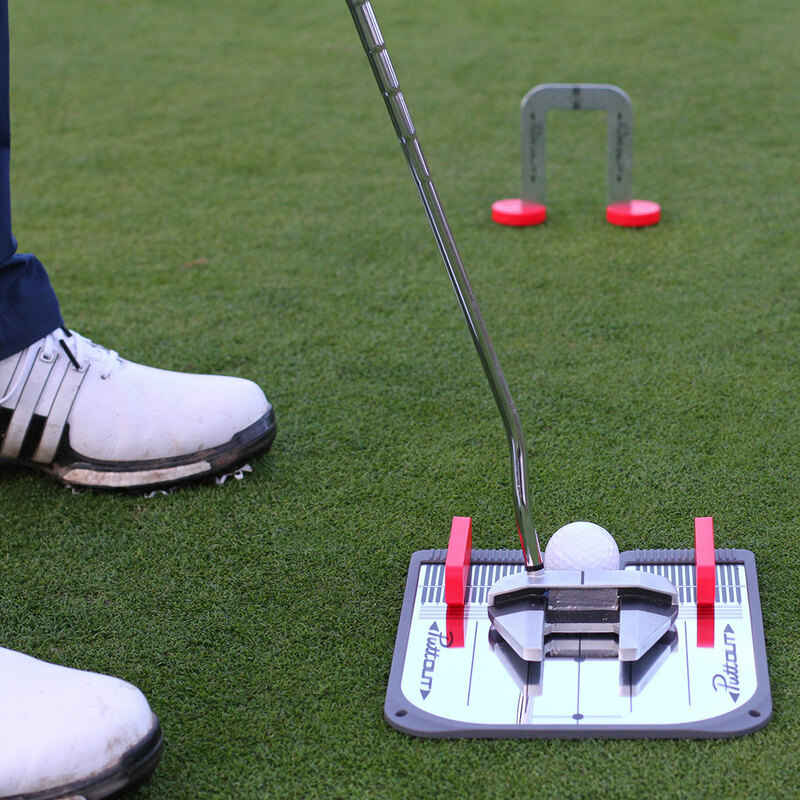 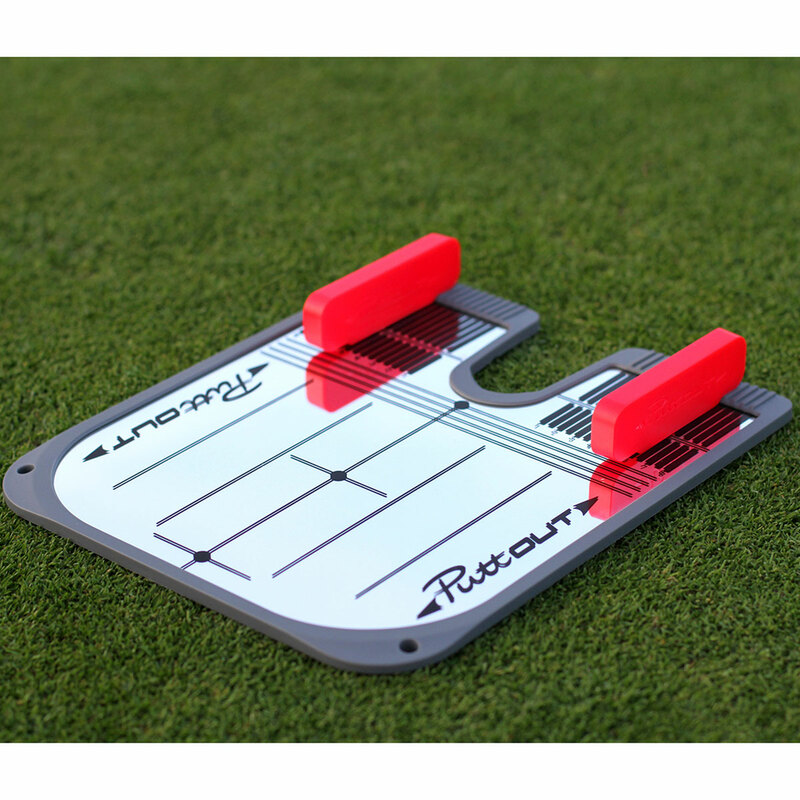 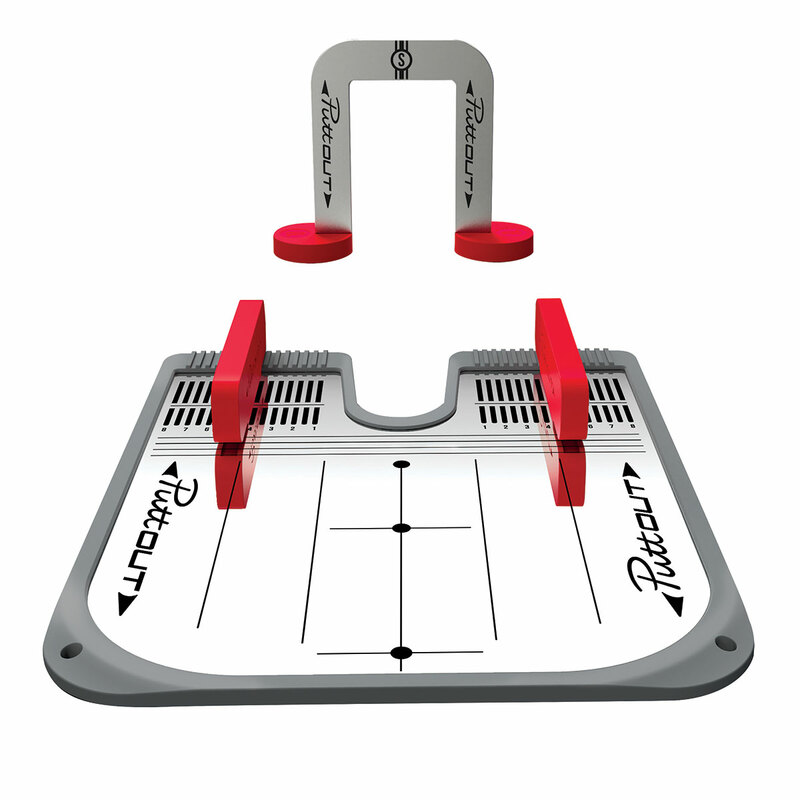 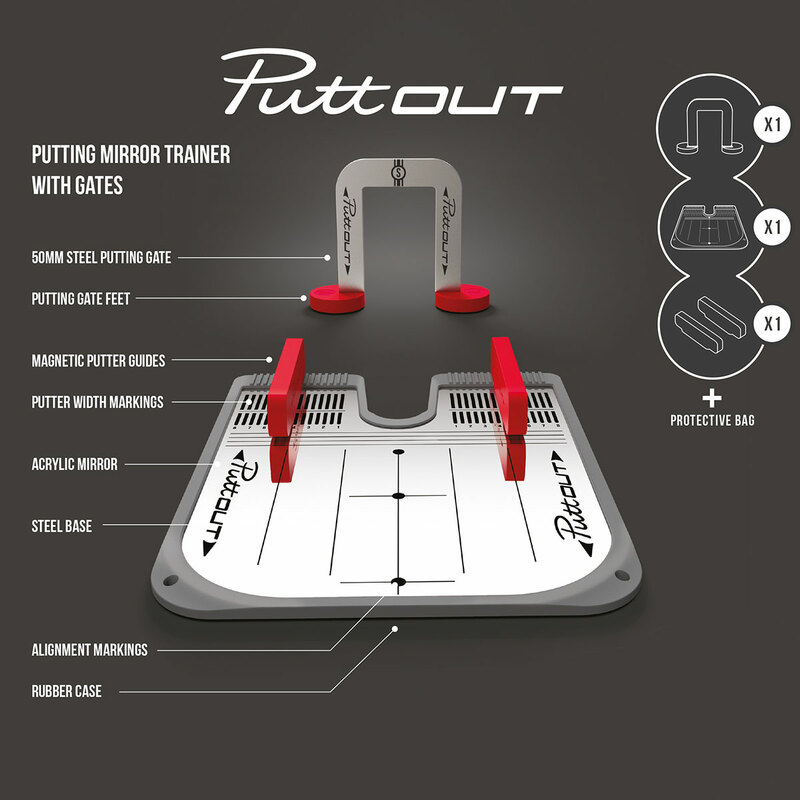 The PuttOUT mirror trainer with gates is perfect for practising your short game, either as a golfing professional or a first-time golfer. 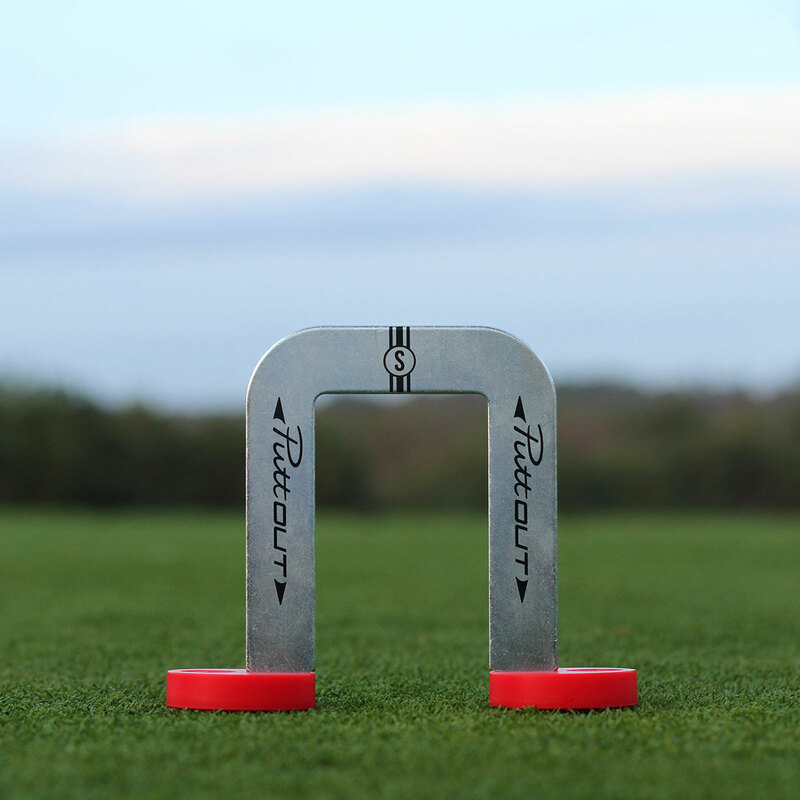 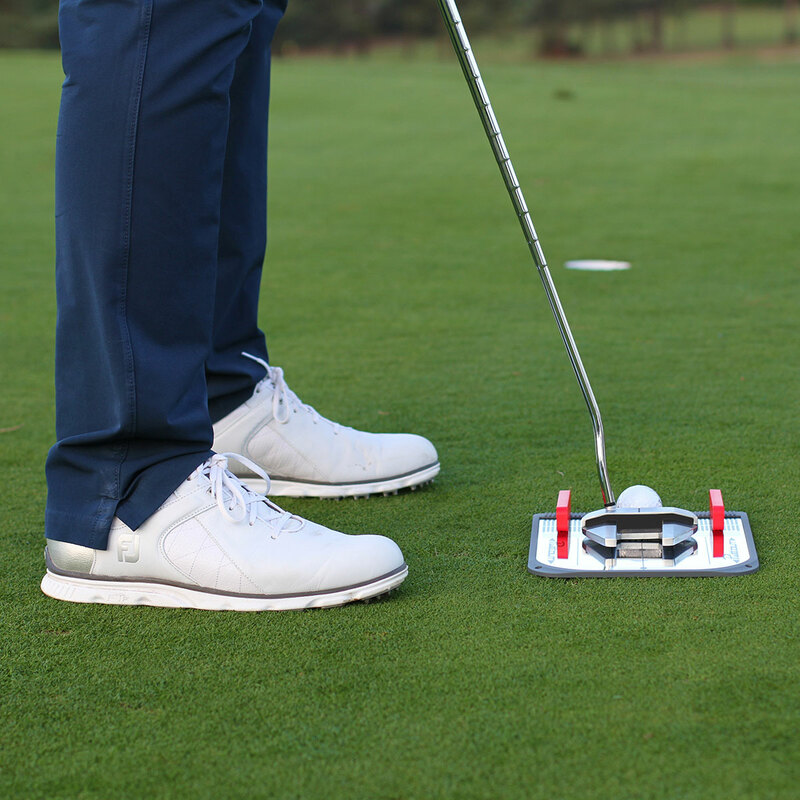 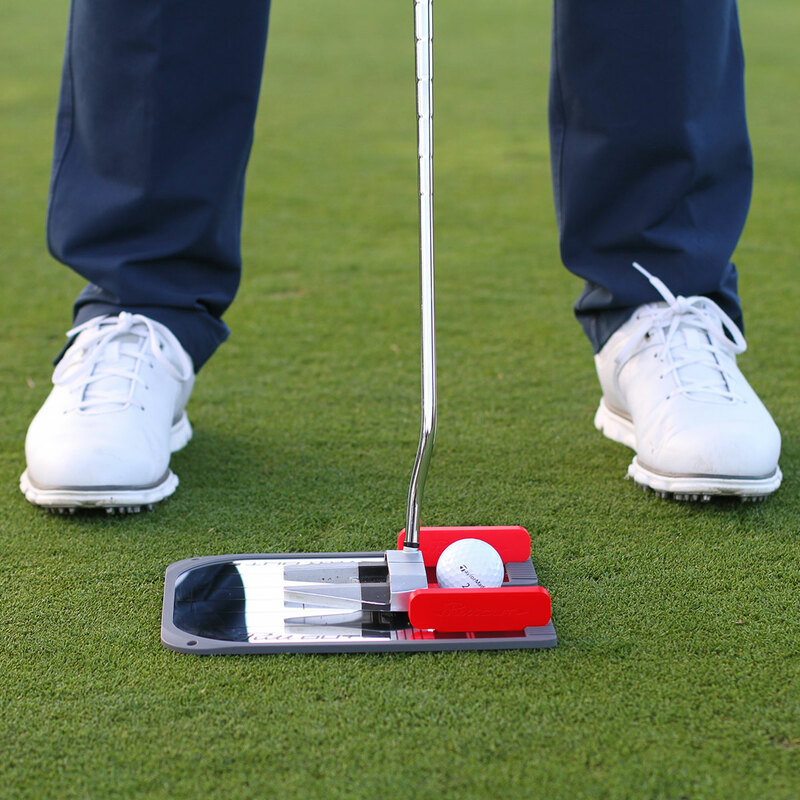 This training aid works to practice eye, shoulder and ball alignment, but also works on your stroke path and target lines by stroking the putter through the 3" magnetic guides, and ball through your intended 50mm gates. 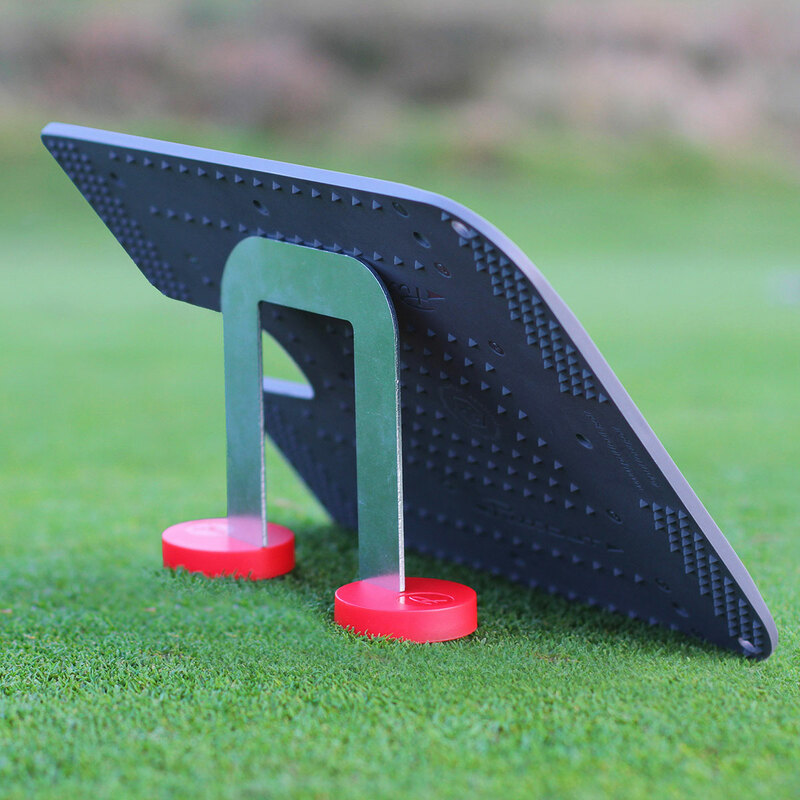 The mirror is highly durable and consists of 3 different layers, firstly an acrylic mirror, which sits on a steel base to prevent bending, plus is surrounded with a rubber base that features spikes to secure the mirror to the putting surface. 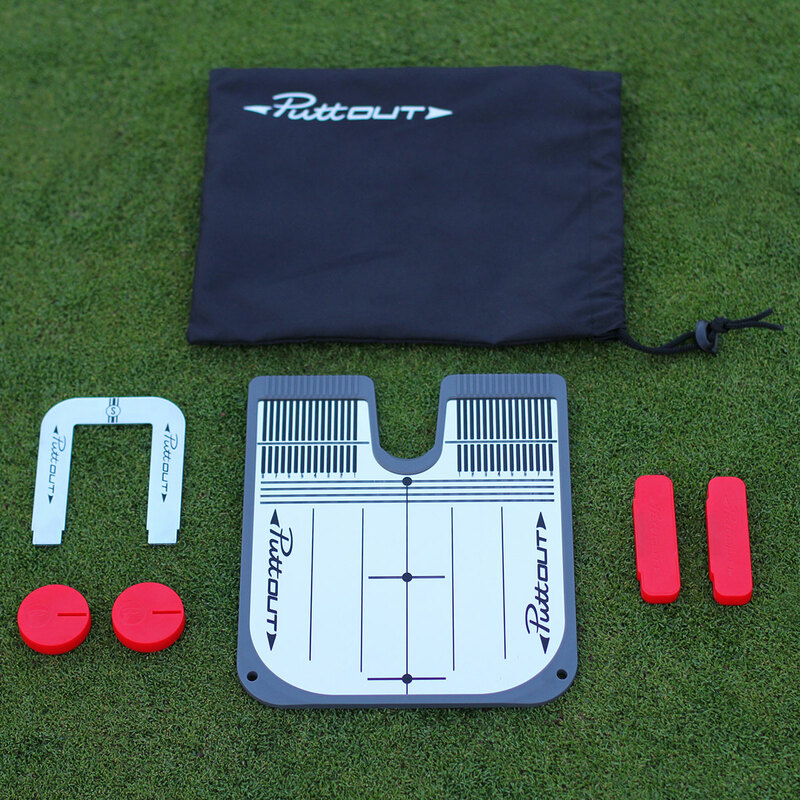 The system features putter width markings and magnetic putter guides and comes complete in a protective bag for convenient storage.